I'm so glad you've come to visit my site! Take a look around, but bear in mind that this is just a fraction of what I bring to shows. 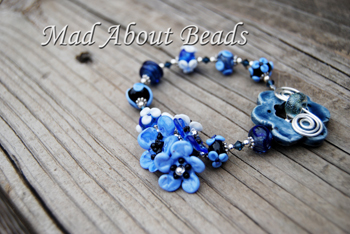 When I am in full production, I make 100 beads a day and 100 toggles a week. If you are unable to come to one of the shows to see it all, there is a solution. You can now buy it online through Paypal! Email me for specific requests. There is no additional charge for special orders. These amazing photos have been taken by a young artist in the Kansas City area. Email me if you would like to get in contact with her...you'll love her!